Keeping the Heritage of the Railroad alive, 2018 will be a year of fun themed events and experiences aboard the Prairie Dog Central Railway. From Great Train Robbery’s, Magic Train’s and Heritage Village picnics each train ride offers a unique experience. Hop on board with family and friends,make some amazing memories as we travel up the line. Ride the Rails, experience the history of the settling of Canada while traveling in one of our turn of the century coaches, all five beautifully restored. 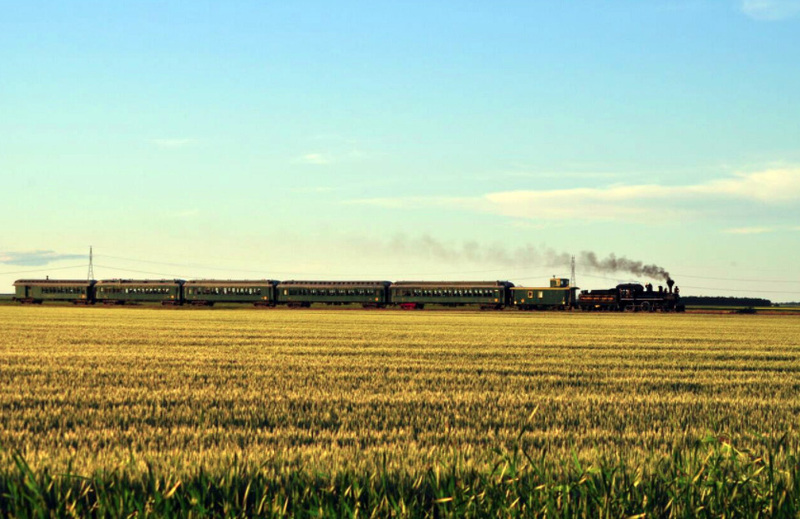 The coaches will be pulled by either our majestic 1882 Steam Locomotive or one of the mighty 1950’s diesel engine’s as we travel through the beautiful prairie landscape. Food and drink plus an assortment of arts and crafts for sale at the train stop.